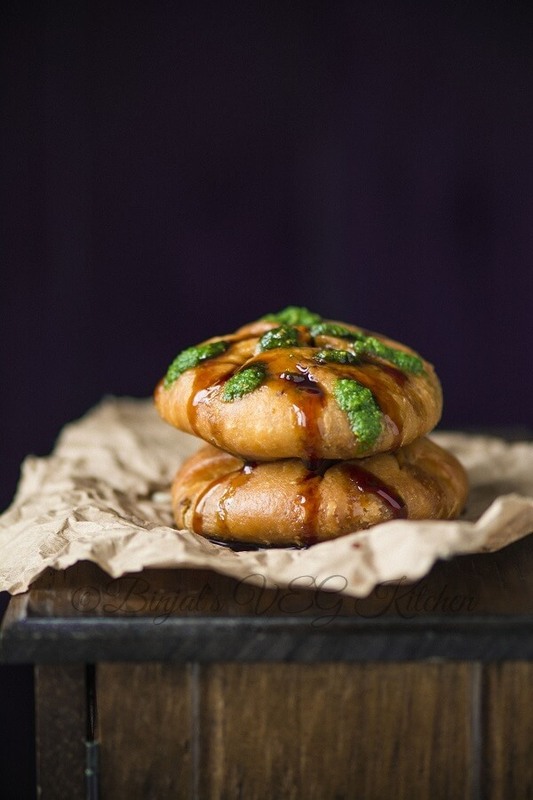 Matar Kachori, Delicious to the core, that’s what this Matar Kachori is! 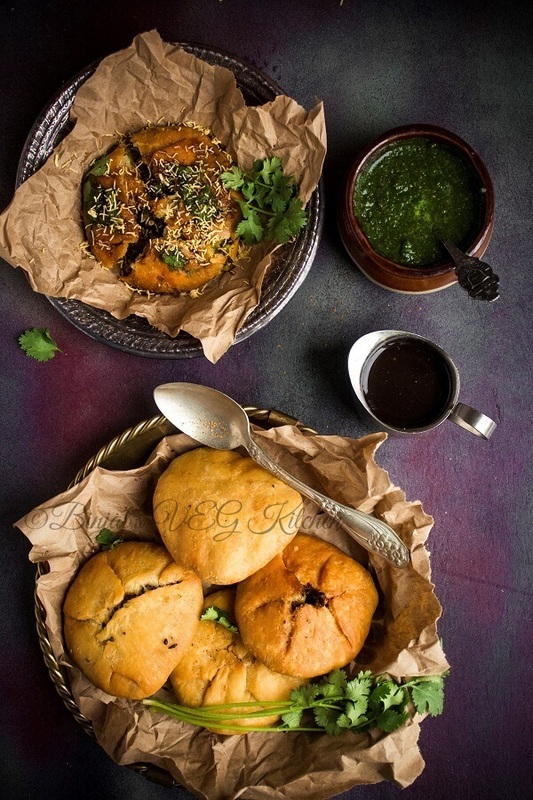 You would never have, really, tasted Matar Kachori with such a flavorful filling. 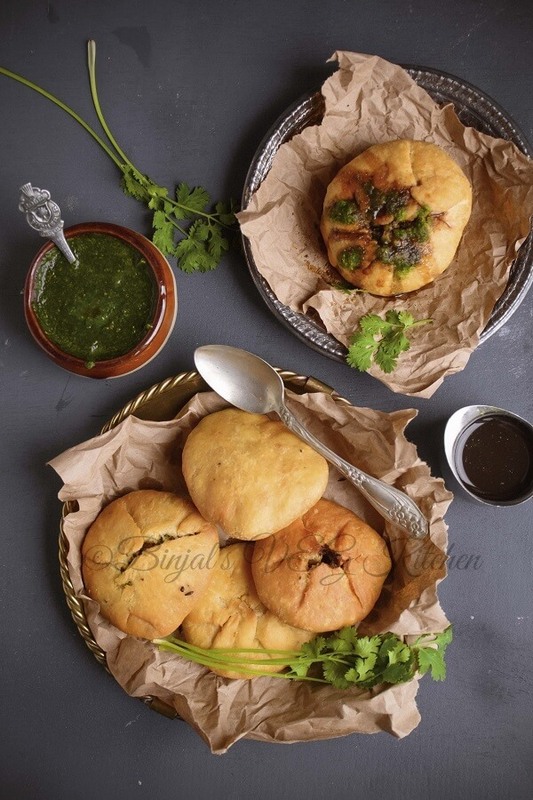 Crushed green peas are pepped up in Matar Kachori with a rather snazzy assortment of spices, you will also enjoy the soft texture of the filling, which contradicts the crusty, melt-in-the-mouth covering! It is most popular snack in Northern and Central India. It is stuffed with peas and spice fillings. You can have it with tea in the morning or in the evening, giving your tea experience a different texture and taste. 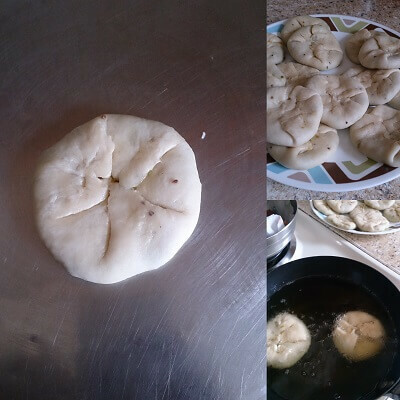 A perfect Kachori is one that is puffed up and flaky outside but hollow inside as the filling sticks to the crust. 1. 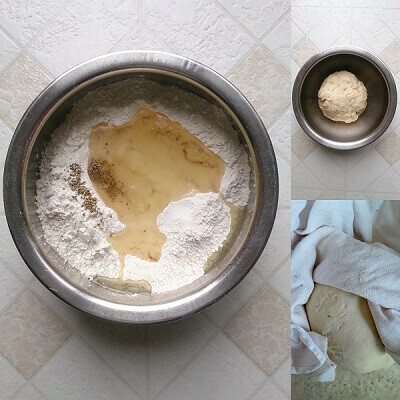 Take the prepared dough and knead it for a minute. 4. Use same process for other balls. Once all done then cover it and keep aside. 7. 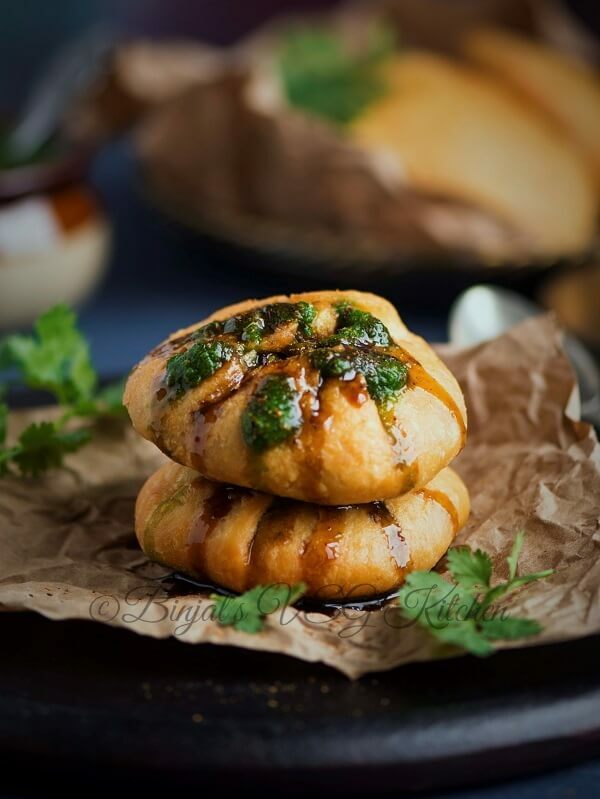 Matar Kachori is ready, serve with coriander chutney, dates tamarind chutney, sev or as per your choice. • Kachories can be stored in a refrigerator for at least a week in an airtight container. • You should fry Kachories on low heat. If Kachories are fried on high heat, then they will get soft and not be crispy. Take a mixing bowl. Add flour, salt, carom seeds and oil/ghee. Mix it well and make crumbled mixture. Now add little by little chilled water and make stiff and smooth dough. Cover it and keep aside. Heat oil in a small kadhai/pan. Add cumin seeds, ginger-green chili paste and pinch of hing. Sauté for few seconds. Now add boiled green peas, all remaining spices, and salt. Mix well and crush it with spatula. 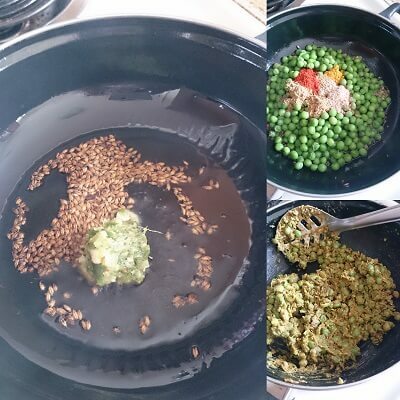 Add beasn, mix again and sauté for few minutes. Remove it into a small bowl and let it cool down. Divide the dough into small-small size balls. Take a ball, roll it on the kitchen surface and make a circle/disk. Leave the center little thicker than edges. 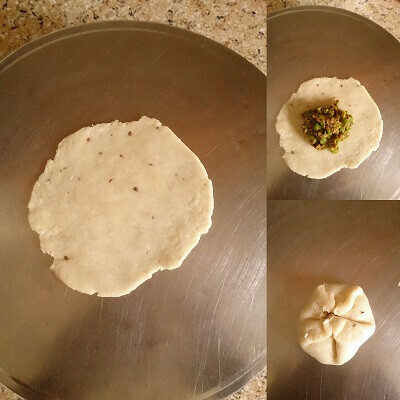 Place 1 tsp of filling on the center of the disk, pull the edges of disk to wrap the filling, warp it and make a ball, then using the base of your palm slowly flatten them like Puri. Heat oil in a frying pan over medium heat. To check if oil is ready, put a little piece of dough in the oil. Dough should sizzle and come up very slow. Fry them on medium-low heat. After they start to puff, slowly turn them over. Fry until golden-brown on both sides. 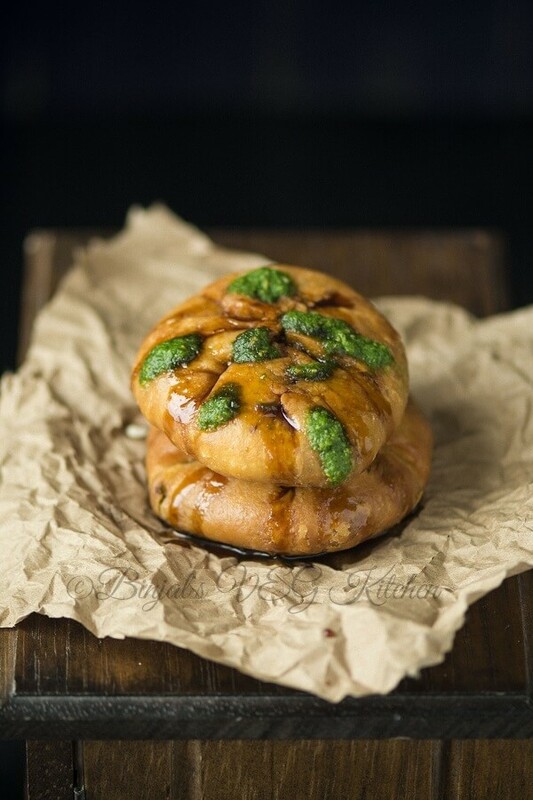 Matar Kachori is ready, serve with coriander chutney, dates tamarind chutney, sev or as per your choice. Love the way the chutneys are climbing down your kachoris. I haven’t had them for a long time; they make me wish I could tolerate wheat again! Totally Ravishing… !!!!! I am impressed .. Thank you so much for sharing it wid us ..!!!! !